“Never forget that life can only be nobly inspired and rightly lived if you take it bravely and gallantly, as a splendid adventure in which you are setting out into an unknown country, to face many a danger, to meet many a joy, to find many a comrade, to win and lose many a battle.” – Annie Besant. All adventure seekers must agree with the above-mentioned quote. Life is indeed an adventure. But just what is an adventure? The following are just some definitions of it by adventure seekers. Adventure is a wild and exciting undertaking. Adventure is the responsible acceptance of risk. Indeed motorcycle vacation is the best way to experience the definitions above! Motorcycle vacation/tour is something unique, something very exciting. It is not something everybody dares to try. But once you experience doing it, you will never forget that experience for the rest of your life and you will crave for it even more! Just imagine riding on your motorcycle touring the great destinations of a certain country. You have the luxury of enjoying the views and awe-inspiring sceneries around you from the seat of your motorbike. You can even go off-road to places that are inaccessible by other means of transportation. You can go high up the mountains and enjoy nature or travel along beaches during sunsets that will surely take your breath away. You can even reach remote villages that will help you get a glimpse of different cultures of people. Indeed motorcycle tour is an adventure! Where is the best place to do motorcycle tour? 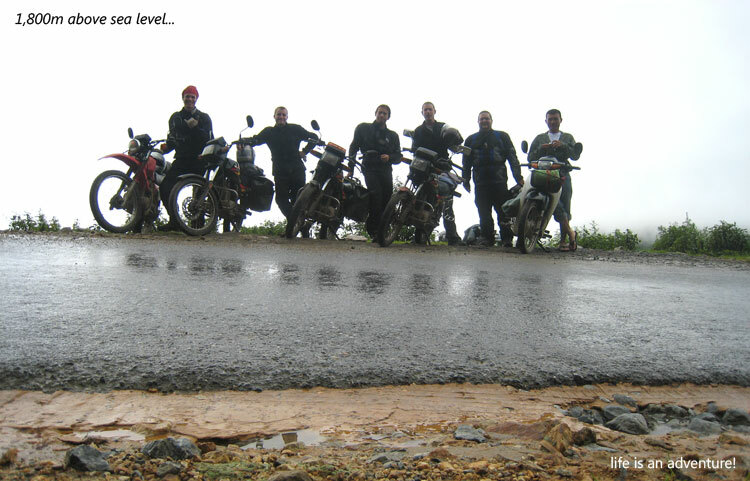 offroadvietnam.com offers the best route and best packages for your motorcycle tour in Vietnam. Our website is one of the most visited websites by motorcycle adventurers. They also offer indispensable tips that will surely help you get the most out of your motorcycle tour. One primary thing to do before pushing thru with your off-road adventure is to do careful planning. You must consider the things you need to bring for a less hassle tour. You might want to travel as a group to enjoy the trip even more. You can book a hotel to stay before and after your trip in advance. I have found a great hotel rates comparison tool! www.hotelscombined.com will surely help you to look for a place to stay that best suits your needs. So, are you tired of monotonous vacations you have had before? Are you a free-spirited adventure seeker? Then the off-road tour will be perfect for you. Are you tired of the same hum-drum vacation? Do you have an adventurous spirit and enjoy riding motorcycles? Then a motorcycle vacation can be the right holiday for you. It’s not just the destination; it’s the journey that will make your holiday memorable. Bike holidays are popular for free-spirited, adventurous individuals. First, you need to pick a destination. If you are set on using your own bike then the best option is somewhere in U.S. and the countries that border the U.S. If you’re interested in hiring or purchasing a bike then there are many opportunities to explore the world on a motorcycle; many agencies are available that will set up everything in advance of your arrival. Take a look at weather since this will have a big impact on where and what time of year you go. If you’re going for an extended period of time then follow the warm and dry season as much as possible. For example, bike around the northern U.S. in the summer months and go to the southern states and Mexico in winter. Motorcycle vacations can be arranged on your own or you can just ride around the country with no real itinerary. In the United States, there are beautiful parts of the country that can be enjoyed from the seat of your motorbike. Imagine riding through Yosemite National Park in California with Half Dome as your backdrop or viewing the amazing vistas of the Grand Canyon in Arizona and Nevada. Europe is compact but very diverse. You can start in Paris and within one week you can easily be in Rome via the French and Italian Riviera, Milan and Florence. To enjoy your travel with bikes, ensure you are prepared. If you’re traveling solo then be prepared to carry your daily food and belongings especially if you’ll be camping. It may also be helpful to know how to fix basic components of the bike such as tires and brakes. Classes are offered at most community colleges and trade schools. If you would like an adventure but don’t like the idea of traveling on your own or without an itinerary there are many group bike holiday available. These range in comfort and length but they are usually for tourists on a short holiday who like to ride and take in the scenery but don’t want to stress about meals and accommodations; meals and hotels are usually set up in advance. You also won’t have to carry too much with you since supplies are available at your stops. Bike repairs are usually handled right away by a mechanic that is traveling with the group. Guides will know the most scenic routes so you will get the most out of your holiday. Traveling by bike through the mountains or along the beaches is sure to satisfy the adventure traveler. Whether you want to travel solo or with a group, a bike holiday can be a dream comes true.